It’s December! We had our first snowfall in Nelson yesterday and it was so beautiful to watch the huge snowflakes falling outside of my window as I photographed this Pomegranate Quinoa Salad! This salad has festive holiday flair and the snowy day was a perfect creative backdrop for its creation…..
It’s December! We had our first snowfall in Nelson yesterday and it was so beautiful to watch the huge snowflakes falling outside of my window as I photographed this Pomegranate Quinoa Salad! This salad has festive holiday flair and the snowy day was a perfect creative backdrop for its creation. 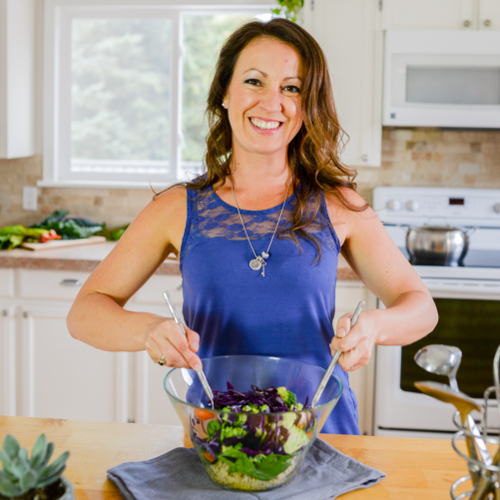 The inspiration for this salad was sparked a few days ago when I was at the Kootenay Co-op, one of Nelson’s local health food stores. 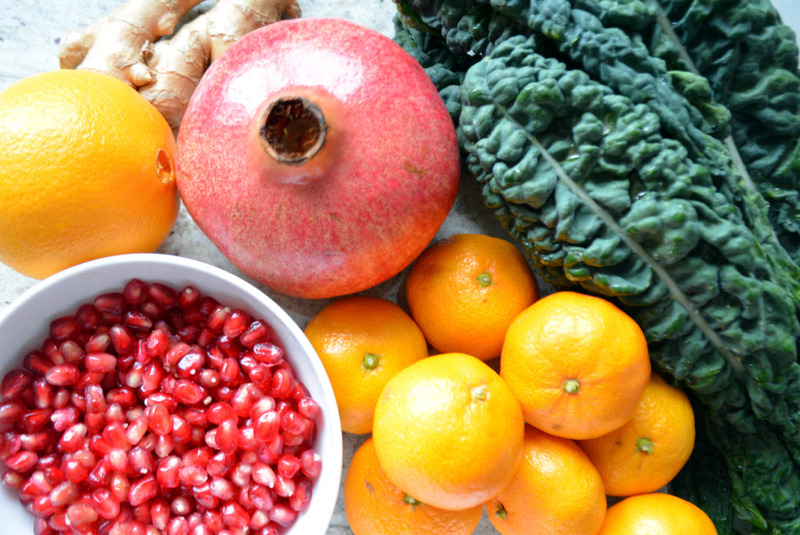 The pomegranates and mandarin oranges were nestled next to each other on the produce display and instantly I knew that I needed to create a holiday salad featuring these festive ingredients! Add ginger, kale, quinoa, toasted pecans… after some intuitive reaching for additional ingredients I headed home with a box full of groceries to experiment with in the kitchen! 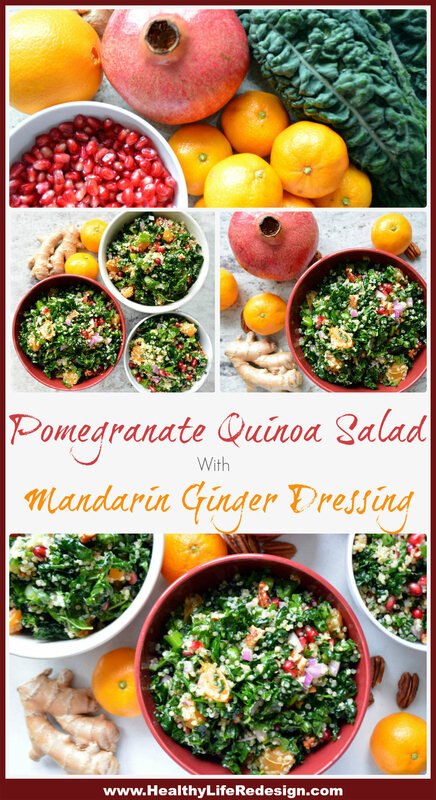 This Pomegranate Quinoa Salad with Mandarin Ginger Dressing is what materialized…I think you’re going to love it! This salad is perfect as an accompaniment to your holiday feast! I like to balance out the more indulgent dishes that are typically served over the holidays with lighter sides that bring colour and nutrition to the table. 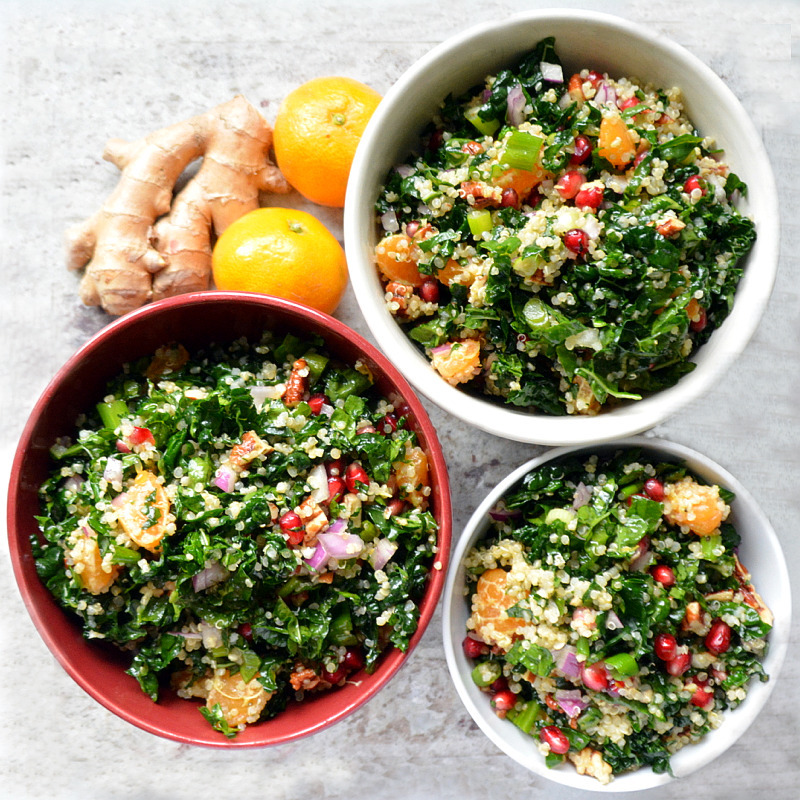 While the Pomegranate Quinoa Salad is a delicious complement to your holiday turkey, it also makes a tasty meal on it’s own anytime of the year! To add additional protein you can optionally top it with a grilled chicken breast or salmon filet. It’s SO good! The mandarins and pomegranate seeds explode with fresh juicy flavour and natural sweetness. Pomegranate seeds – healthy yet so delicious! This salad is packed with nutrition and it’s so refreshing and hydrating! Pomegranates are a fruit that are commonly overlooked yet have numerous health benefits. The seeds are rich in immune boosting antioxidants and vitamins C and K. Pomegranate seeds are also one of the only foods to act as an aromatase inhibitor, which means that they help to prevent excessive estrogen production and that they can also be helpful for those with breast cancer. 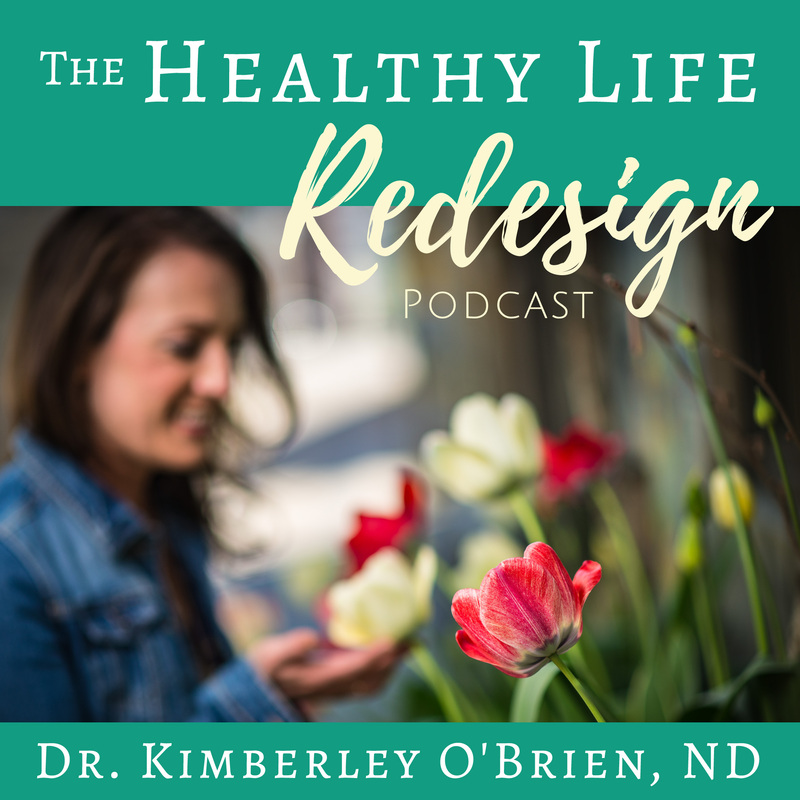 Women aren’t the only ones who benefit from aromatase inhibitors, and the compounds in pomegranate are also helpful for men with benign prostatic hyperplasia (BPH) or prostate cancer. Pomegranate seeds and their juice can also help to lower blood pressure and to decrease the formation of arterial plaques. Need I go on to convince you to enjoy this fruit on a more regular basis? 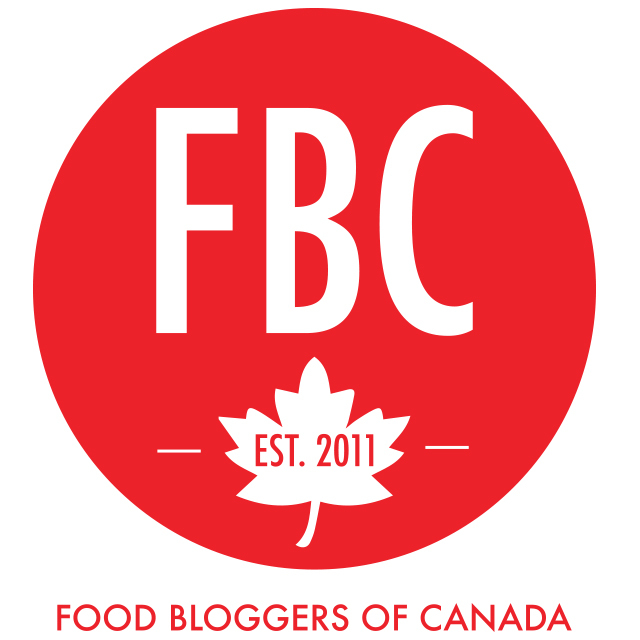 The holidays aren’t an all or nothing food affair! You can feel fabulous while still enjoying holiday treats with just a bit of planning to incorporate healthy dishes like this into your meal plan! 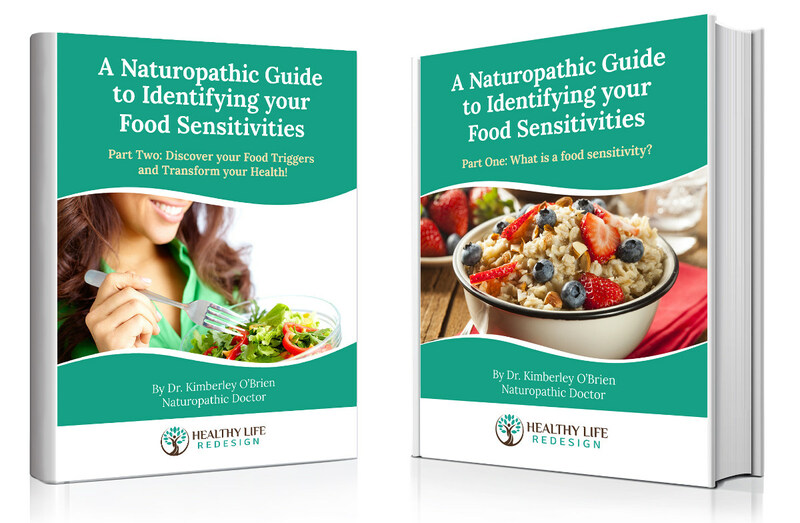 I will be sharing additional recipes and tools to help keep you healthy through the holidays in the coming weeks that I know you’ll love! Please follow me on Facebook and join my inner circle so you don’t miss a beat! You will also want to check out my Top 10 Healthy Holiday Gift Ideas for $70 or less and enter my holiday giveaway! 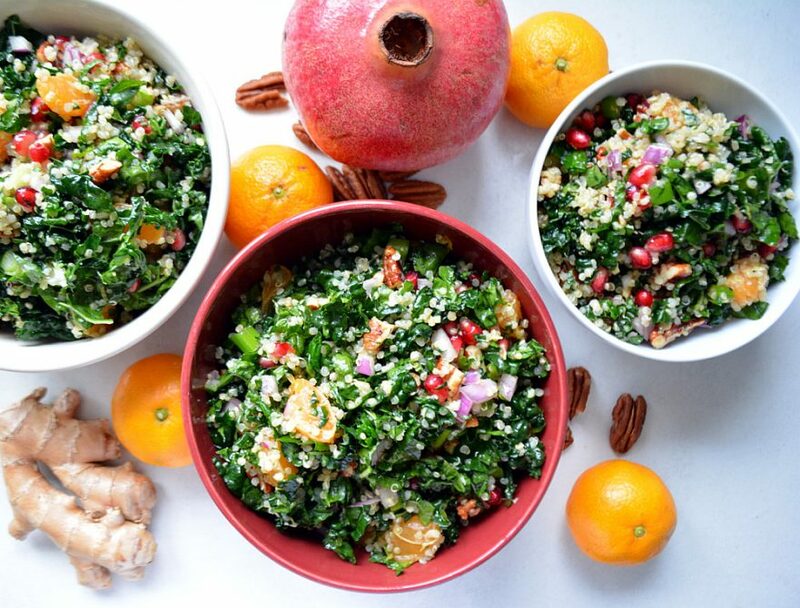 This Pomegranate Quinoa Salad has festive flair and is perfect for the holidays! 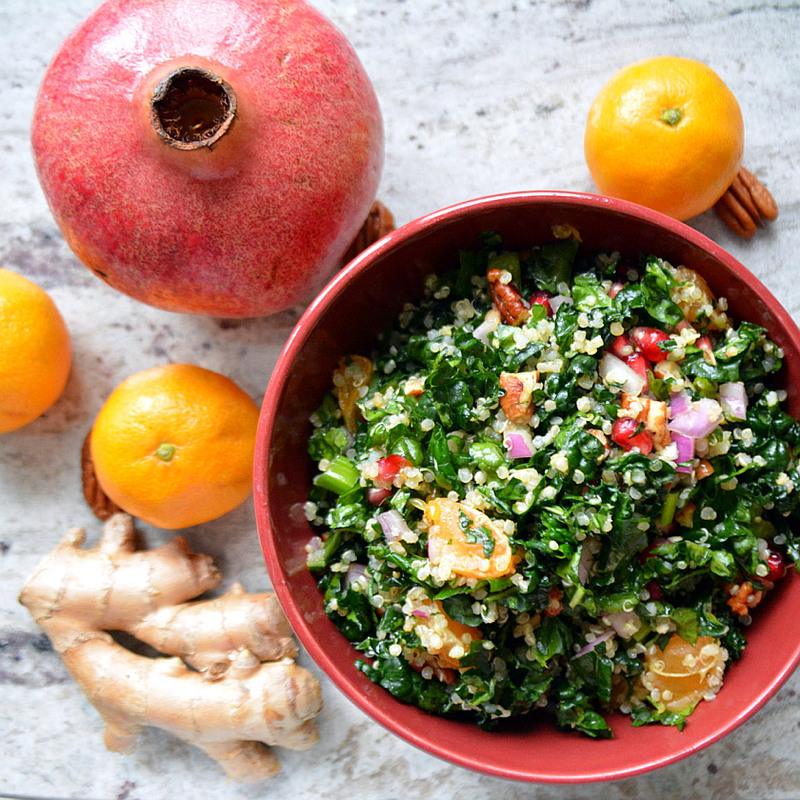 You'll love this delicious combination of juicy mandarin oranges, warming ginger dressing and refreshing pomegranate seeds! Preheat your oven to 350°F and toast the pecans on a baking sheet for 4-5 minutes until very lightly browned. Once toasted, set them aside and chop them once cooled. Remove and discard the stems from the kale and chop the leaves very finely. Once the leaves are chopped, squeeze with your hands to soften before adding the kale to a large bowl. Open the pomegranate by cutting it in half with a large knife. Separate the seeds from the flesh and add the seeds to the large bowl with the kale. Peel the mandarin oranges and cut the orange in half horizontally to section the wedges in half. Separate each wedge and add it to the salad bowl. Add the red onion, chopped green onions, cooked quinoa and chopped pecans to the salad bowl. To make your dressing: Zest your orange using a fine grater before you then juice the same orange. Add the zest and the juice to a medium sized bowl along with all other dressing ingredients. Stir to combine. Add the dressing to the large salad bowl and stir well to combine. For maximal flavour, let the salad marinate in the dressing for at least 30 minutes prior to serving. The salad can be stored in the fridge for up to a few days and is best served slightly chilled. If you won't be serving the salad the same day, I suggest keeping the toasted pecans separate until serving so they will maintain their crunch. Fabulous Marie! Let me know how it turns out with the spinach! It’s a delicious meal on it’s own! I had it the other night topped with organic rotisserie chicken and it was AMAZING! Yum! This looks so delicious and healthy. Thanks for the amazing recipe! Pinned for later. Thanks for pinning Sarah! I hope you enjoy it! That looks fantastic! Shifting the conception of a winter salad from want leaves with a few hothouse tomatoes is one of the best trends of the last decade or so. Great to see some healthy alternatives for the holiday season! I’m always looking for new quinoa salad ideas. This dressing sounds delish! Thank you! I hope that you enjoy it PT Potts! Kimberley, this is my kind of salad! 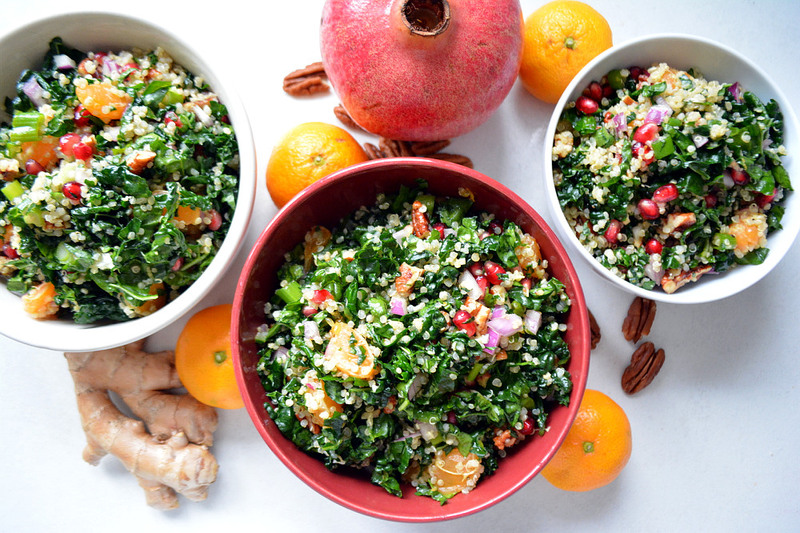 I love using quinoa for salads, and this one looks so festive, as well as yummy and nutritious. The Kootenay Co-op is a special place too. You make me miss Nelson. Oooooh! That dressing would be good on EVERYTHING! Such a delicious, healthy salad! And yes, I got a text from my daughter about that Nelson snowfall! So pretty. Thanks Elaine! I love ginger in my salad dressings because it’s so warming and flavourful! Makes for a fabulous winter dressing. During the time of year where everything can seem so dark and dreary… this is wonderfully bright and colorful! I’m on the lookout for easy lunch ideas to make ahead..this fits the bill! Thank Markus, I agree! With all of the gorgeous colours I felt energized and happy just looking at this salad!